Eseta is a 7 year old girl. Eseta has 6 brothers and sisters. 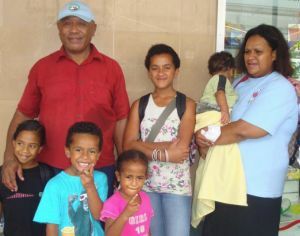 Her father was with Fiji's peacekeeping forces in the middle east where he was badly injured by schrapnel. He is unable to work but has not received a pension or any compensation. The family is without a regular income and suffers extreme hardship. 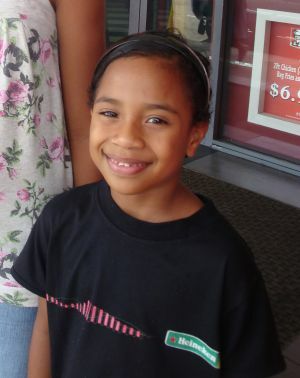 Eseta enjoys attending school and her favourite subject is reading and writing. Eseta travels to school each day by bus. When she grows up, Eseta wants to be a teacher in school. Eseta’s understanding of her work at school is good. Her marks dropped slightly during the last period. She will try to listen and to do better in the next school term. She is a child who mixes well, is a good leader and good at sports. Eseta has now been sponsored and will continue to receive the education that every child deserves.